A highly infectious and incurable virus spreads worldwide. Seventeen-year-old Kerryl Shaw and her family live on a remote farm and think they will be safe, but the plague advances. Despite deaths around them, the Shaws survive. However, this changes when a stranger arrives, and it soon becomes apparent he has brought the infection to their door. One by one the family succumbs, leaving Kerryl alone. Let's start by saying, for a debut novel, I loved this book. Whilst at first glance the idea of an incurable virus spreading worldwide isn't a new concept, the author manages to take it in a whole new and exciting direction that keeps the reader gripped. Paradise Girl is actually a young adult book but as is often the case I think it's extremely enjoyable for adults too. It works extremely well at building tension and setting the scene of a post-apocalyptic rural town. I honestly can't sing it's praises enough for how well this novel kept me wanting to read more. However I do have a couple of little bug bears with it. The first being some of the language used between the teenagers in the book. I found it a little unrealistic and flowery and times, and working with teenagers everyday, I can confirm that this certainly isn't how they speak. With the target market being people around the main character's age, it would have been nice to see a more realistic portrayal of the everyday language used by young people. My second little niggle was actually the main character, Kerryl. Whilst for the most part I did enjoy reading about her, I found her to be grating at times but I could quite easily look past this thanks to the good plot. 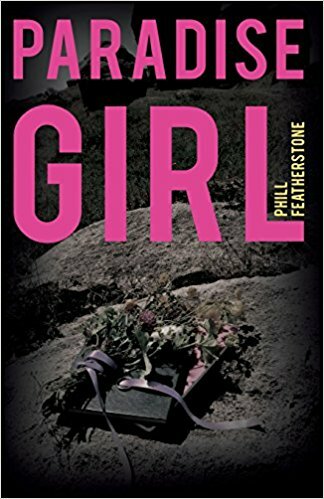 In all I recommend giving Paradise Girl a read if you're after a novel that will keep you turning the pages.